Simran Pareenja and Samyuktha Hegde at Kirrak Party pre-release event. 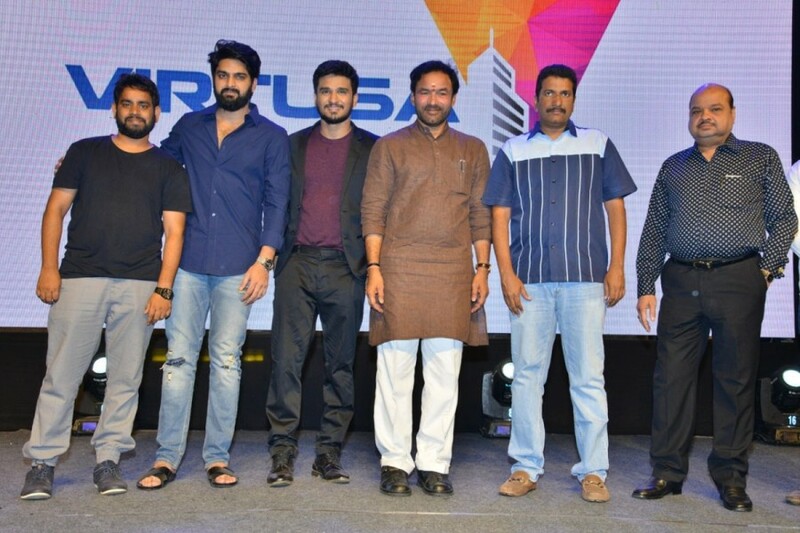 Telugu movie Kirrak Party pre-release event held at Hyderabad. Celebs like Nikhil Siddharth, Simran Pareenja, Samyuktha Hegde, Ramajogayya Sastry, Ajaneesh Loknath, Raja Ravindra and others graced the event. Samyuktha Hegde and Nikhil at Kirrak Party pre-release event. Actress Samyuktha Hegde at Kirrak Party pre-release event. Actress Simran Pareenja at Kirrak Party pre-release event.